Selecting a career path can be challenging. There are so many options to choose from and you want to be sure you select the right one. People who choose dental assisting as a career are generally happy with their choice. 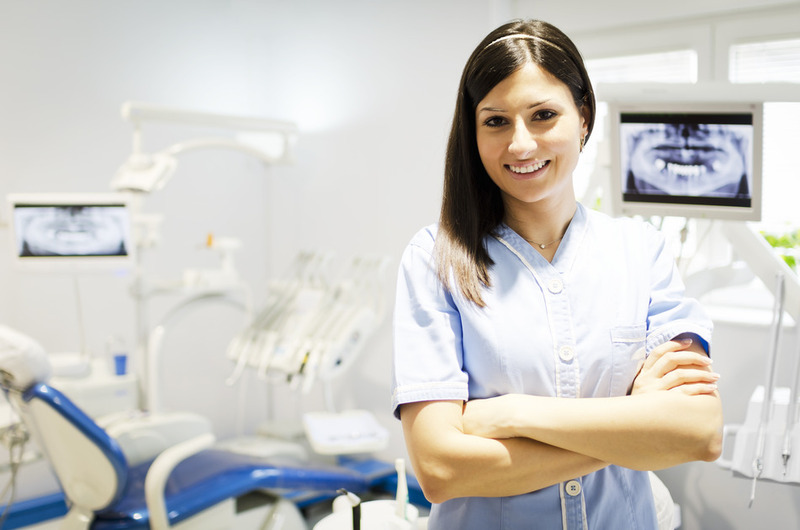 So you may be wondering how to become a dental assistant. Dental assistants love their jobs. They meet friendly people and help people’s health too. They get paid well for their work and receive many extra benefits. Dental assisting is an up and coming career. This means that there will be more jobs opening up all the time. Here are just a few tips to help you out on your way to a new and exciting career. There are usually several schools to choose from where a person lives. Lucky for you, becoming a dental assistant can be quick. Some schools offer one or two year programs. But others offer much shorter programs. It’s important to know that just because a program is longer does not mean that they teach more. Do your homework and check into several different programs locally. Make sure you understand what each of them offer. Once you have decided upon a school you will need to complete the program entirely. Take your schooling seriously. Some of the best dental assistants are the ones who paid attention during their training and were motivated. Motivation is key. Set a goal or find what is motivating you to return to school. Keep that in mind if things get difficult. Study in groups with other students in your class. You’re all learning the same thing, so take advantage of what others have to offer. Look into tutoring options if you are having trouble. Working out a problem when it first arises is always easier than waiting until you are far behind. Study, study, study! Your schooling will pay off while on the job so take in as much knowledge as you can. Some schools require an externship in order to graduate. This can be such a valuable time for you to learn and grow as a dental assistant. You can gain great knowledge from other dentists and their staff. Be eager to work. Put your knowledge to good use and don’t be afraid to ask questions. This is the best time for you to learn hands on before you get a real job. Some doctors will even hire the student they worked with so always do your best work. That doctor could be your future boss! Look into different types of training and certifications that you can get. Even if it isn’t a requirement to graduate it may be useful in your career. Look into things like x-ray certification, software training, CPR and first aid training. When it comes to finding a job, the more training you can list the better. You want to build your credentials for future employers. Once you have graduated you can look for a job. The best place to start is at the school where you trained. Check into their student services department. Some may offer help with writing a resume. Ask for where you should start looking for a job. Also ask if they know of any openings or doctors that are hiring. Just because you have graduated doesn’t mean that they can’t help you. Many schools offer job search assistance to their graduates for life. Now that you know how to become a dental assistant you can start a new career. So go out there and change the world…one smile at a time!